SheKnows – One of the Biggest Women’s Websites in the World! 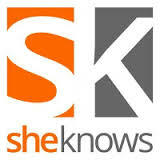 SheKnows is one of the biggest, female orientated, websites in the world with one of the most active online communities. This is your opportunity to get a contextual link in a well written, high quality article on the extremely popular online magazine website. If for any reason at all, your SheKnows article is not accepted for publication, you get 100% of your money back, no questions asked. A high quality post in SheKnows, with a contextual backlink to your website, from a DA79, PA82, TF62, and CF54 site will boost the credibility and the rankings of your website and bring you more traffic. Your guest post will a 100% unique, high quality article complete with relevant royalty free images where appropriate. I write all articles from scratch. There is no scraping or spinning g here! Your guest post will also be added to 100+ social bookmarks sites to get it ranked higher. Please note that SheKnows is an online women’s magazine. While I can put a female slant on most topics, some topics may not be suitable for publication on this site. If in doubt, please feel free to message me. The article cannot be too promotional. Articles that are informative and interesting are far more likely to succeed. No gambling, adult, dating, or pharmacy. Feel free to get in touch first if you have any questions, or you would like me to suggest some article topics for you. Write and Publish a Guest Post on SheKnows - DA 79 is ranked 5 out of 5. Based on 21 user reviews.